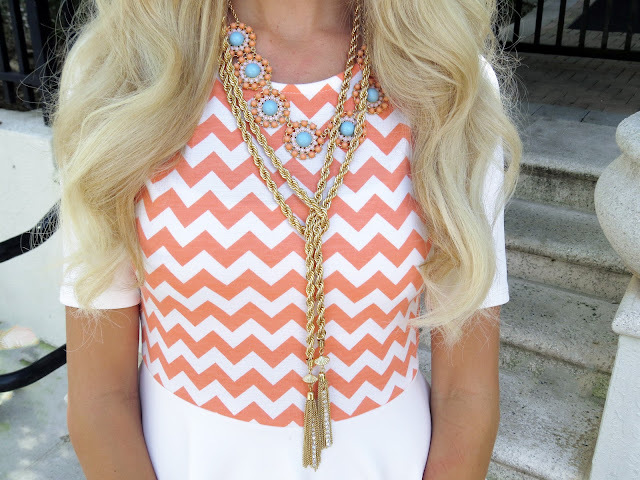 I am so in love with this chevron peplum top from StyleSaysShop. Two of my current favorite trends, chevron and peplum, in one! And I love the color for summer! I also can't stop wearing this ILY Couture tassel Necklace! It is such a great necklace for layering! So I have pretty much worn shorts everyday for the last week! It has been in the 90's everyday here in Florida and so shorts are easy, cool and comfortable. And I really like finding different ways to dress up shorts! 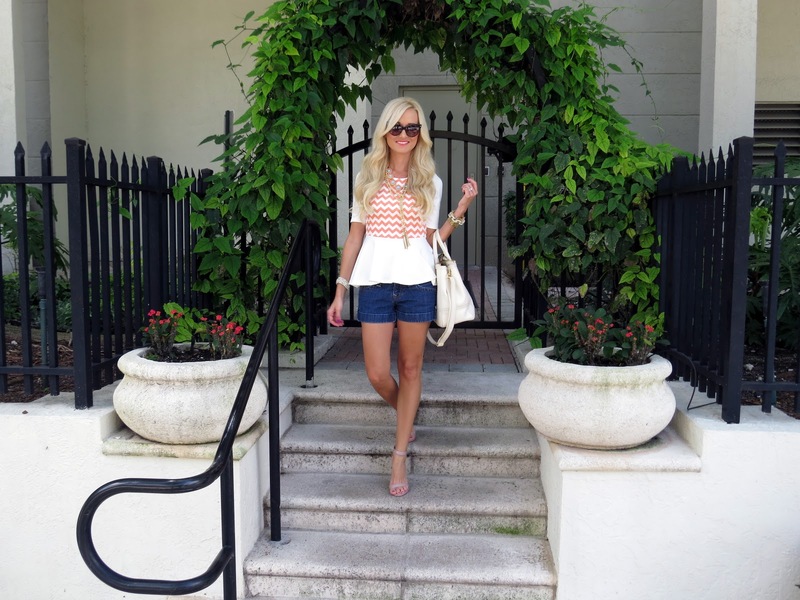 Here are a few pairs of shorts that I am dying to get my hands on! super cute top love it! Love this outfit and all of the accessories! you look adorable jade, love this top and tassel necklace. Super cute top! I love this summer look. I love this top! You are adorable! Your my new favorite style blogger! Your style is perfection! I love chevron anything and have really been into the peplum lately. This top is perfect! Jade, how do you manage to look so great in the Florida heat? I'm melting! I love chevrons and I love peplum tops = super cute! BTW your hair is beautiful!